We take pride in being a full-service practice. There's a doctor here for anything you need. Dr. Evan received his Doctor of Dental Surgery degree from New York University in 1975. He continued his dental training as an extern at Mary Immaculate Hospital in Jamaica, New York. 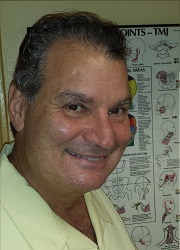 He has been in private practice Dentistry for nearly forty years, with special emphasis in Temporomandibular joint (TMJ) Disorders, an area in which he is recognized as a regional expert. In addition to general and restorative dentistry, Dr. Evan treats TMJ and chronic pain patients every day, using a non-surgical, physical therapy-based approach to relax the muscles and restore the health of the jaws. Dr. Raj was born and raised in Queens, New York. He attended Binghamton University and received his Doctor of Dental Medicine degree from the University of Medicine and Dentistry in New Jersey. He then returned to New York to complete his General Practice Residency at Jamaica Hospital Center, a level-one trauma center, where he gained extensive experience with complex dental and oral-maxillofacial emergencies. Dr. Raj strives to stay on the forefront of new technology and concepts in all fields of dentistry. He has completed hundreds of hours of continuing education courses and seeks to incorporate state of the art techniques in his practice. Dr. Raj seeks to make dentistry accessible to everyone and takes the time to explain procedures as succinctly and clearly as possible. He is focused on providing your entire family with comprehensive, exceptional and affordable dental care. In his free time, Dr. Raj enjoys running, spending time with his family and watching NY sports. Dr. Amy Wong graduated from St John's University with a Bachelor of Science degree in Biology. She received her Doctor of Dental Surgery degree from New York University College of Dentistry and completed her residency training at New York Hospital Queens. Her goal is to provide the most ideal dental treatment with the patient in mind. Dr. Wong is a member of the American Dental Association (ADA), New York State Dental Association (NYSDA), and the Queens County Dental Association (QCDA). She also stays on top of the newest dental techniques and treatments by taking continuing education courses and reading the latest dental journals. When not practicing dentistry, Dr. Wong enjoys jogging to maintain her active and healthy lifestyle. She is an avid movie goer and also an ardent reader. She also loves to travel and explore new places, experience new foods and cultures. Schedule your next appointment with Dr. Wong today, and learn what treatment options are best for you. Dr. Stanley received his Doctor of Dental Surgery degree from Columbia University in 1943. After serving four and a half years in the Marine Corps, he founded our practice, where he continued to work and mentor his son Evan for several years. Dr. Stanley now spends much of his time in Florida, but is often in the practice he founded, and continues to work within the practice, especially in making sure that patients get their full dental benefits from their insurance companies. Dr. Adrian W. Lau graduated from Brandeis University with a Bachelor of Arts degree in biology and politics. She received her Doctor of Dental Surgery degree from the New York University College of Dentistry, then completed her residency training at Jacobi Medical Center in the Bronx. Her main goal in her work is to ensure that her patients feel comfortable and receive the beautiful clinical results that they desire. Dr. Lau is a member of the American Dental Association (ADA), New York State Dental Association (NYSDA), and the Queens County Dental Association (QCDA). In her free time, Dr. Lau enjoys cooking, hiking and spending time with her dog. Dr. Paul received his bachelors degree from the University of Chicago, and his Doctor of Dental Medicine degree from the University of Medicine and Dentistry in New Jersey. He continued his education with a General Practice Residency at Coler-Goldwater and Bellevue Hospitals, where he focused on implant dentistry and complex restorative treatment. Dr. Paul is passionate about continuing education, taking hundreds of hours of additional dental training every year. The primary focus of his training is making implant dentistry faster, less expensive, more ideal, and more comfortable. His favorite procedure is replacing a hopeless tooth with an implant the same day. When he's not treating patients, Dr. Paul enjoys the outdoors, yoga, reading, film, and live theater, especially with his wife and family.